Dr. Jodie Peacock B.Sc., N.D.is a Naturopathic doctor at The Root of Health. She is a graduate of the University of Guelph, where her studies focused on bio-medical science. After completing her bachelor of science Jodie went on to complete four years of study at the Canadian College of Naturopathic Medicine (CCNM), one of the six accredited schools in North America. Dr. Peacock has a special interest in women’s health concerns including hormone balancing addressing the adrenals, thyroid and ovarian function. This can help symptoms associated with fertility, PCOS, menopause, weight gain, and fatigue. Dr. Peacock is passionate about educating couples on how to optimize their fertility and the health of their future children. Preconception health is critical to ensuring the optimal health of our future generation. 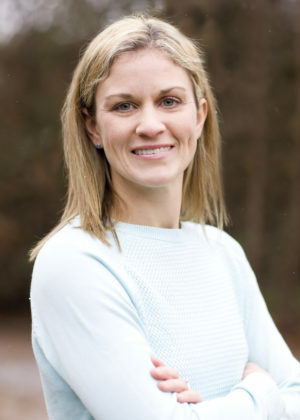 Dr. Peacock also has a special interest in treating athletes, as she has been involved in competitive sports since childhood, including playing rep soccer for the Oakville soccer club as well as participating in recreational running, mountain biking and volleyball. Dr. Peacock was a sports medicine supervisor at the Robert Schad Naturopathic Clinic at The Canadian College of Naturopathic medicine and she also worked with the Toronto Argos in 2007. Dr. Jodie Peacock’s passion for naturopathic medicine stems from the ability to spend quality time with her patients helping to treat the whole person instead of just their symptoms. She feels very strongly about the opportunity to educate patients and the general public in the use of effective alternative treatments, empowering them to take control of their own health. Jodie holds professional memberships with the Ontario Association of Naturopathic Doctors (OAND) and the Canadian Association of Naturopathic doctors (CAND). She is licensed in Ontario through the College of Naturopaths of Ontario.